My previous post in the 'forex trading guide' was about monetary policy, which is at the center of forex fundamental analysis. Here we will see, how interest rate effects the currency value. Interest rate is at the center of monetary policy. It can be defined as "The percentage of principal charged by the lender to borrower." The authority of monetary policy determines the interest rate in any economy. 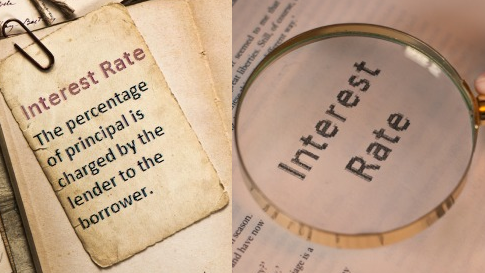 Along this post you will learn how interest rate affects the economy and currency value. When an economy has higher interest rate and lower economic performance, which is measured by the economic indicators, the authority of monetary policy lower the interest rate to boost the economic activity. When the interest rate is lower, the borrowing cost decreases, and the incentive of savings also decreases. As a result, people not feel interest to keep the money in the bank rather invest . Funds become easy and low cost to the business and investors. When the rate of investment is increased, production sector booms, employment opportunities become available, personal and institutional income increases, personal and institutional spending increases, as a result, money supply increases in the economy. When the money supply increases, the inflation rate also increases. When the economy shows descent performance, the authority of monetary policy takes action to control the money supply and inflation rate. This is because if the the economy has excessive inflation or money supply, the price of general goods and services hikes. The price hike is not good for the members of an economy. So, to control the inflation, authority of monetary policy decides to increase the interest rate, which encourages savings and discourage investment. Higher interest rate is kept higher as long as the economy has sound performance. The economic performance is measured by the economic indicators e.g. unemployment rate, industrial and manufacturing production, retail sales, consumer price index, producer price index, purchase manager index, durable good orders, trade balance, and housing etc. Again, when the economy shows poor performance the interest rate may be decreased. A lower interest rate discourages the internal flow of funds from foreign countries, where a higher interest rate encourages the internal flow of funds from foreign countries. A lower interest rate increases the inflation rate and decreases the value of a currency , and a higher interest rate decreases the inflation rate and increases the value of a currency. In bottom line, forex traders should keep abreast with the performance of an economy to determine the probability of increase and decrease in interest rate and other monetary policy decisions. If you have any suggestions, questions or complements, please drop a comment below.